We are going to repeat the same process with each bar of A. 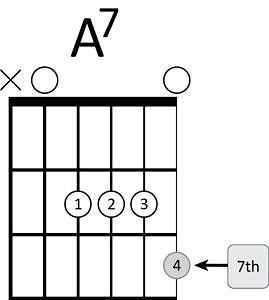 Once again you will notice that our 12 bar blues has many bars of A. 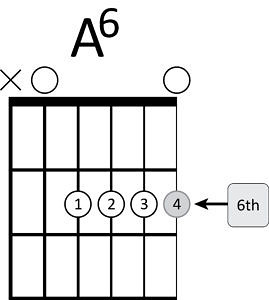 Start by playing the A6 and A7 chords as each of them uses the pinky and can take some practice. In the one bar excerpt below you can see how each bar of A will be transformed. Play the video so you can see how it will sound. Use simple comping figure every time you see a bar of A.